At the age of three, I was adopted from Haiti, and I grew up knowing very little about my family and the details surrounding my adoption. I had always been told that my adoption was out of necessity- my parents had been too poor to care for me and my younger siblings, so we were put in an orphanage. I was told they wanted to place me for adoption. Last year I went on a search for my birth family in Haiti, and through the help of several strangers, I was able to find them. But I also found the details surrounding my adoption were very different from what I had been told. My parents did not want to relinquish me for adoption, and for over 30 years, they did not know where I was. Unfortunately, many Haitian adoptees have stories just like mine. Struck by how unbelievable my adoption story was, I started doing some research on adoptions in Haiti. I found that in Haiti, children are often separated from their families and placed in orphanages in exchange for medical treatment or food. Once children are in the orphanage, adoption is unfairly used as a bargaining tool, and mothers are promised that their child will have a better life or may even come back to support them one day. Children may also be placed for adoption without their family’s knowledge or consent, and once they leave the country, they are often lost to their families forever. Separated by geography and language, an adoptee may never find their way back to their family. I wondered how I could I make sure another mother would not lose their child to a system that is so quick to offer a permanent solution to a temporary problem. 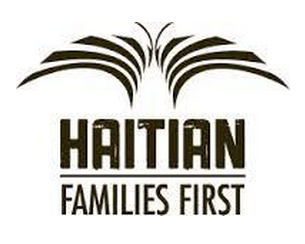 My research led me to Haitian Families First, an organization that focuses on family preservation. According to their website, the organization “runs programs that provide medical, nutritional and educational support to help Haitian families remain together and create a self-sufficient future.” I recently I had the opportunity to interview Ali McMurtrie, one of the founders. Ali shed some light on what makes HFF different from other non-profit organizations in Haiti and how she and her sister are working hard to put families first. I write this, not to look for pity, but to speak some of my truths, especially in the light of Robin Williams’ death. Depression does come in all forms and from many sources; chemical, biological, life experience. We all have varied life stories to share. Sometimes I feel I share too much but in some instances not enough because it feels so vulnerable, still so raw. This is my birthday story, written on the day. Memories shape us for good and bad. As a kid in the 70’s, I was the odd kid in the neighborhood that everyone made fun of. I had been in foster care, until I was adopted at the age of 10. I came to the Slagoski’s when I was 4. I did not know if I was coming or going or where I fit in. I was extremely overweight and not at all like the delicate flower that I wanted to be. My foster parents were much older than other parents in the neighborhood, so people would think and mention to me that they must be my grandparents. My mom made all my clothes-in the age of Gloria Vanderbilt jeans. (I am thankful now.) I could go on. The point being, I was fodder for kids in my group to torment me, and they did. Sometimes they would run by my house yelling out things at me as I sat on the porch. Now there were times that they were friendly, but it was off and on, mostly off. Birthdays were the hardest because it was a celebration of birth, and I was still trying to figure out where I came from and why I did not fit in. Most of the time I felt like I dropped in from another planet. I had a foster sister that would tell me that we got phone calls from a lady who said she was going to come and get me. They were rich and had a merry-go-round in their backyard. I was at once intrigued and nauseous with fright thinking I would be taken away again. I wanted to wash birthdays away.